A mobile installment of the famous platform game franchise by Nintendo, and a typical autorunner production for portable devices. 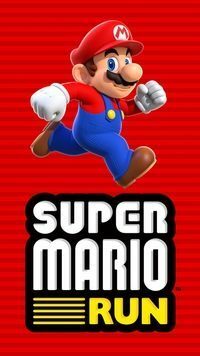 Super Mario Run for AND and iOS is a Nintendo game, developed in cooperation with DeNA. One of the people involved in the game's creation was Shigeru Miyamoto himself — one of the most famous developers ever, who helped to create such franchises and Mario, Donkey Kong, The Legend of Zelda, Star Fox, F-Zero and Pikmin. The mobile Mario edition is an autorunner game, a genre very popular on portable devices. It is a 2D platform game, in which the main character constantly moves forwards, while touching the screen makes him jump. This is how you avoid obstacles, stomp the heads of your enemies and gather gold coins. There are two game modes. In the first one, you just have to finish levels. In the other you compete against other players, trying to get a better result. What matters here is not only beating the level, but also the manner of achieving that. You can also create your own Mushroom Kingdom, if you’re willing to spend some of the coin made in other modes. Visually, Super Mario Run for AND and iOS resembles New Super Mario Bros. Wii. The game's style is similar to that of the first installments of the franchise, although the graphics have been enhanced so that they would not seem old-fashioned by current 2D platform game standards.